Cap Connection has been in the truck accessory business in Waukesha, Wisconsin since 1987. Thanks to our customers for helping us grow to be your premier truck accessory dealer. We also thank all of our experienced employees for their extra efforts in solving our customers' needs. We have facilities on-site that allow us to service our customers unlike other dealers. With the largest selection of tops in stock, we can handle most any truck. Plus, with our complete service center, factory trained installers expertly handle every installation quickly and professionally. Because of the facilities, equipment, knowledge and skills at Cap Connection, you can drive onto our lot, talk to one of our many experienced and knowledgeable sales people and discover how easy it is to accessorize your truck just the way you want. Whether you want your truck nicely dressed up or completely converted, we have the capability to do everything in-house, which means greater affordability. You can buy a customized truck from an auto dealer, but with our low overhead, our price will be far less than a dealer's. Call us first at 262-524-8420. 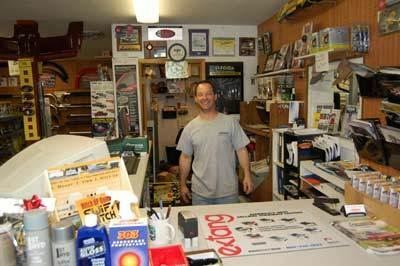 Cap Connection has the largest truck accessory selection in the area. As we move into the future, we will strive to stay on the leading edge with the products and services we offer. We will gladly price and special order any product for you, and can custom fit it to your vehicle. We work hard to bring you the very best products at the very best prices, every day. Contact Waukesha truck accessory experts for more information on our available products and services or call 262-524-8420.